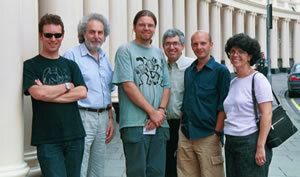 Comprehensive meta-analysis is the world's most widely used program for meta-analysis. This software was developed with funding from NIH, in collaboration with experts from around the world. The first is educational. The program was developed partly as an educational tool, and it includes many features that help to explain the process of meta-analysis. For example, we can use CMA to create a forest plot which shows each of the individual studies and the combined effect size. Then, we can manipulate the studies and see how these modifications impact the weight assigned to each study, how they impact the summary effect, and so on. Critically, we can also see how the selection of a model (fixed-effect vs. random-effects) impacts the analyses. CMA allows us to open a window (literally) on the calculations so that we can draw a direct link from the concepts to the formulas. The second is practical. While some participants may be interested solely in understanding meta-analysis, others are also interested in performing meta-analyses, and want to learn how to use CMA for this purpose. Therefore, whenever we explain a procedure we also show how to perform that procedure using CMA. The learning curve for CMA is extremely short, and so even when working with CMA we can focus on concepts (which analysis should we choose, how do we interpret the results) rather than the mechanics of actually using the program. Persons attending the workshop will be given a free 1 month license for CMA for the scheduled month of the class. We will offer a discounted rate for anyone who wants to obtain license beyond the 30 days. Full Team - Left to right, (Seated) David Wilson, Betsy Becker, Julian Higgins, Will Shadish, Hannah Rothstein, Michael Borenstein, Mike McDaniel, Steven Tarlow. 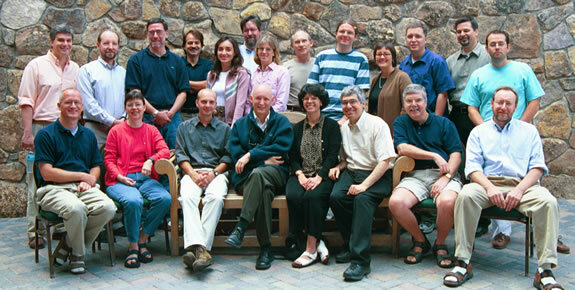 (Standing) Spyros Konstantopoulos, Larry Hedges, Harris Cooper, John Ioannidis, Despina Contopoulos-Ioannidis, Jack Vevea, Sue Duval, Mark Lipsey, Alex Sutton, Terri Pigott, Fred Oswald, Wayne Greenwood, Thomas Trikalinos. I have been using Comprehensive Meta-Analysis for more than 3 years and have finished a dozen meta-analysis with this software. The biggest advantage is easy to perform and manage the analysis. Studies can be added or removed from the analysis without modifying the data. There are a variety of effect size measures, including treatment difference, odds ratios, rate differences, correlations, etc. The diagnosis and transformation of the effect size is just one click away. The high-quality forest plot and comprehensive meta-regression distinguished this software from others. Comprehensive Meta-Analysis is easy to learn and use, with a clear and friendly interface. The software provides a detailed display of meta-analytic results plus a wonderful format for presentation of results. It is my favorite software for meta-analysis of study-level data.